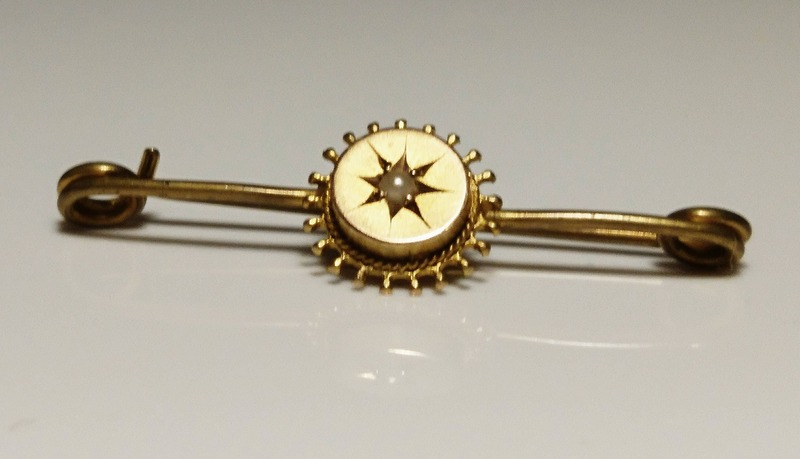 Pretty Victorian Etruscan style gold pin with a central star set seed pearl in 9ct yellow gold. 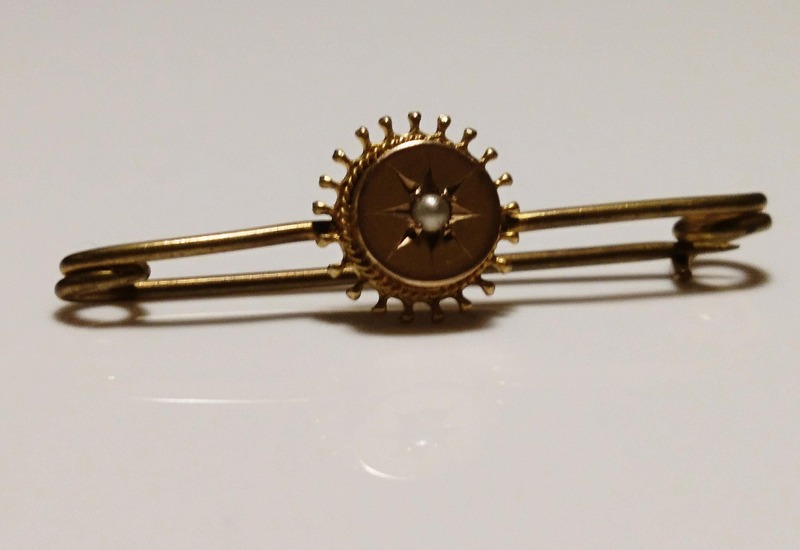 This pretty brooch is stamped on the back 9ct, the fastening is an old style pin fastening. 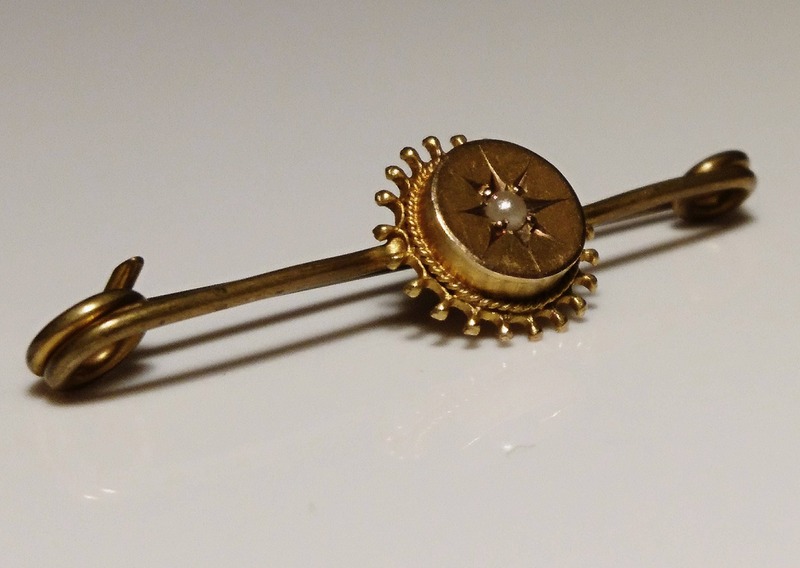 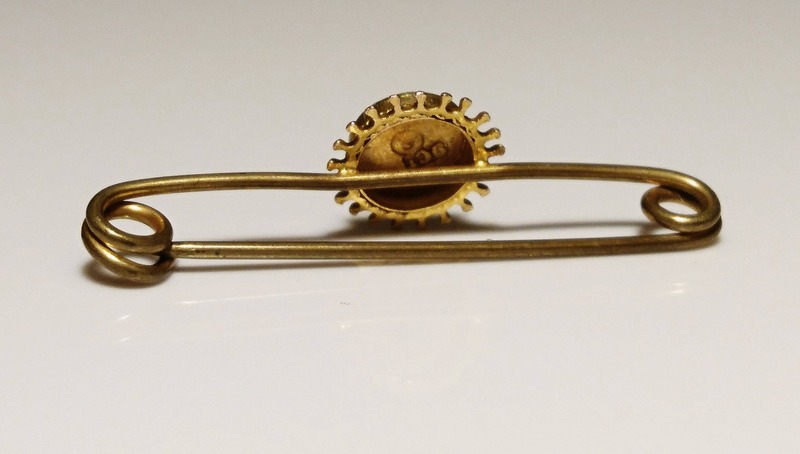 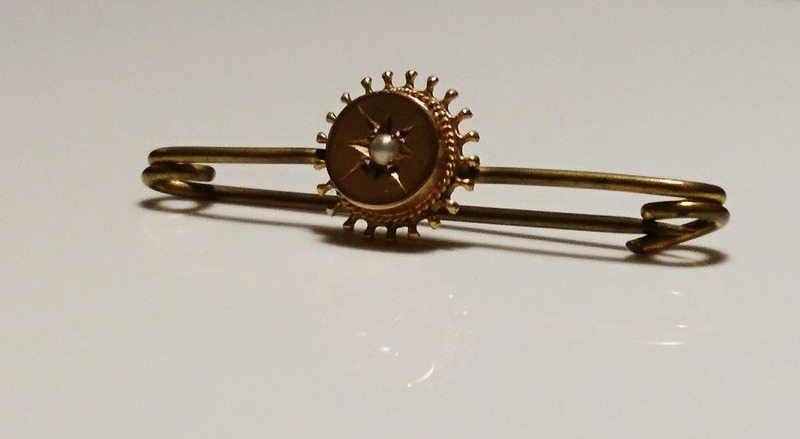 This Victorian gold and seed pearl pin brooch is in excellent condition the gold is lovely and lustrous, the pearl has a nice nacre, it is styled with an Etruscan style circular setting that almost looks like a sun or starburst. 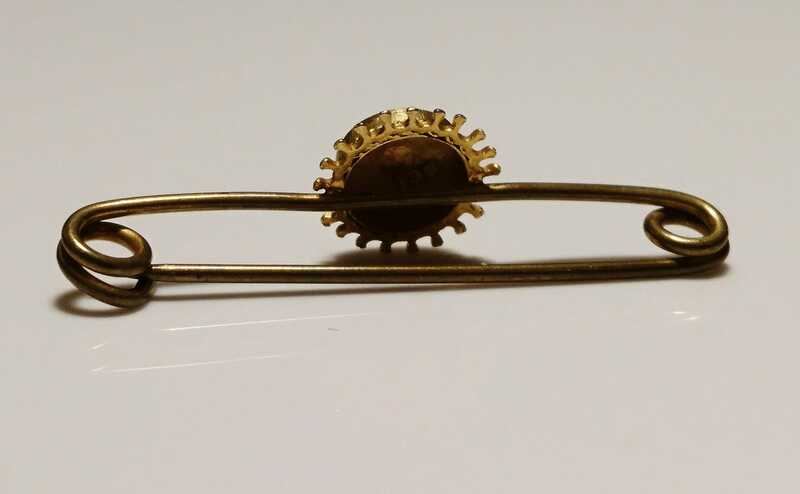 Approx 3.5cm width and 1cm height, total weight 0.85 grams.